And all our Wishes, will come true..."
Welcome to a place where the most marvelous and magical things can happen, and it's all because of a wish...Where just around the corner you'll encounter a house full of 999 Happy Haunts, then turn around to discover a river frozen in time, enhabited with beasts that haven't roamed the earth for more 65 million years...Where pirates still sail the Spanish Main in search of burried treasure, adventure lurks within a tower guarded by a dragon, and a maid can become a princess with the kiss of a frog. A place where each day closes with a happily ever after, and all your dreams come true...welcome to the Enchanted Kingdom, Disney's newest themepark based on the Disneyland model Walt perfected more than fifty years ago. 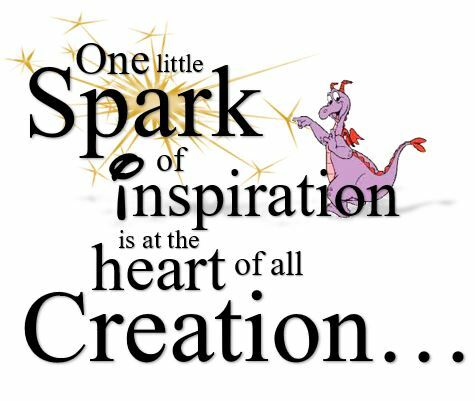 Sparks of Inspiration invites you to join us on a journey through the worlds of Yesterday, Tomorrow, and Fantasy like you've never seen them before. Over the next several weeks, we'll be working to bring a touch of Disney magic to your computer unlike any you've ever experienced. Please keep all hands, arms, feet, and legs inside the vehicles at all times, and remember, wishes can come true. Kong: The Eighth Wonder Of The World! comics101, 2011. Powered by Blogger.